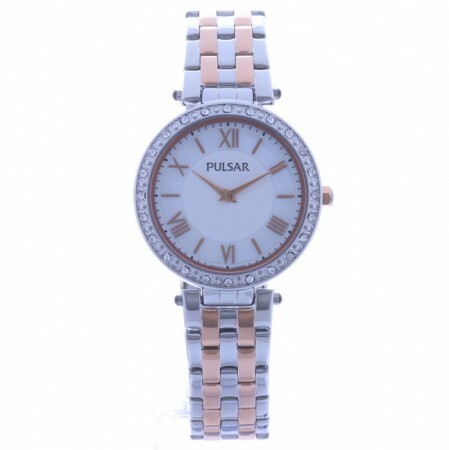 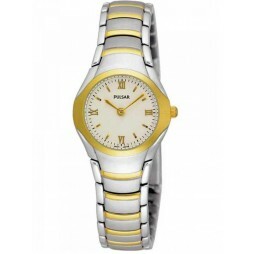 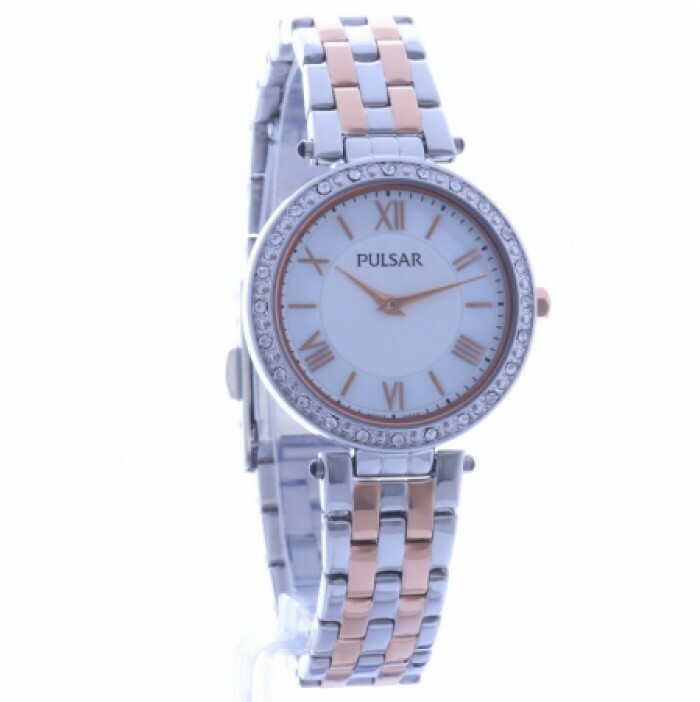 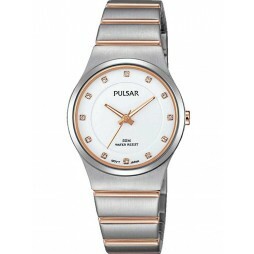 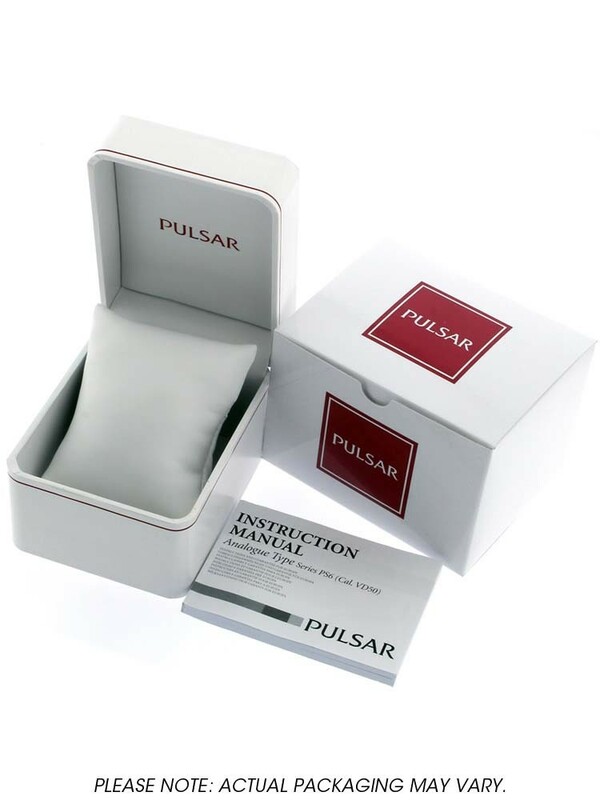 Pulsar bring us this beautiful ladies bracelet watch, the perfect accessory for business or pleasure. 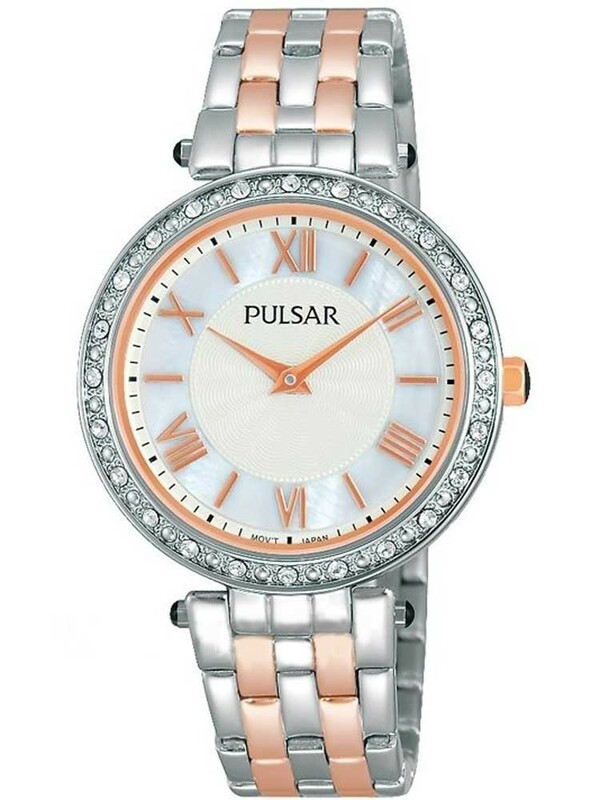 Set in stainless steel featuring gorgeous rose gold plated detailing and a sparkly stone set bezel for extra glamour. 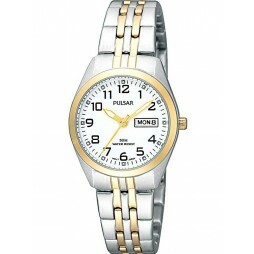 The classic dial with roman numerals completes the look, held securely on your wrist with a push button clasp.